Laytown & Bettystown Golf Club was founded in 1909 and boasts a stunning traditional links course. 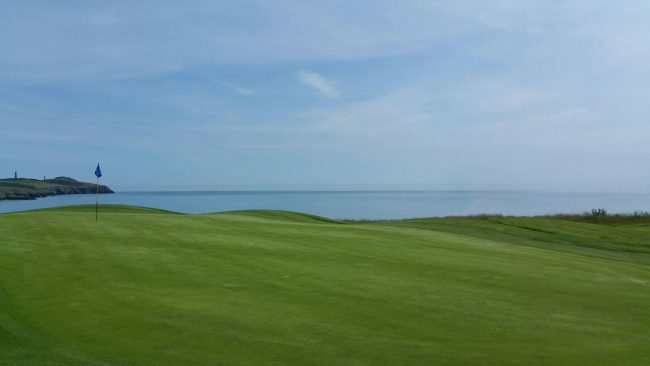 With its undulating greens and narrow fairways, the course hides unexpected hazards and challenges. Set by the sea, in the beautiful village of Bettystown, the course is a must-visit spot when in the region. Measuring 7150 yards, Seapoint Golf Links is a challenging test for even the best amongst golfers. The ever-changing weather conditions will conspire to ensure that every round is different and unpredictable. This relatively young links course has already hosted the Irish PGA twice and a European Tour event in 1998. 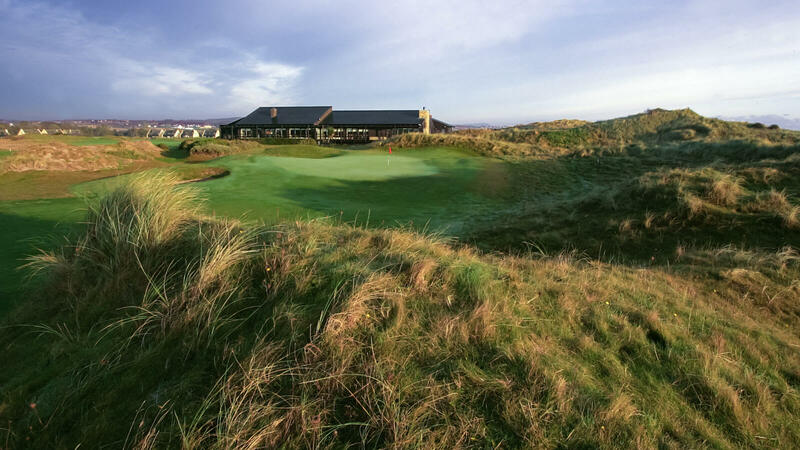 With its rugged sand dunes and elegantly meandering fairways, Arklow Golf Links is the ultimate traditional links course. Formed by Hawtree and Taylor in 1927, it has evolved with additional inputs from Eddie Hackett and Eddie Connaughton. 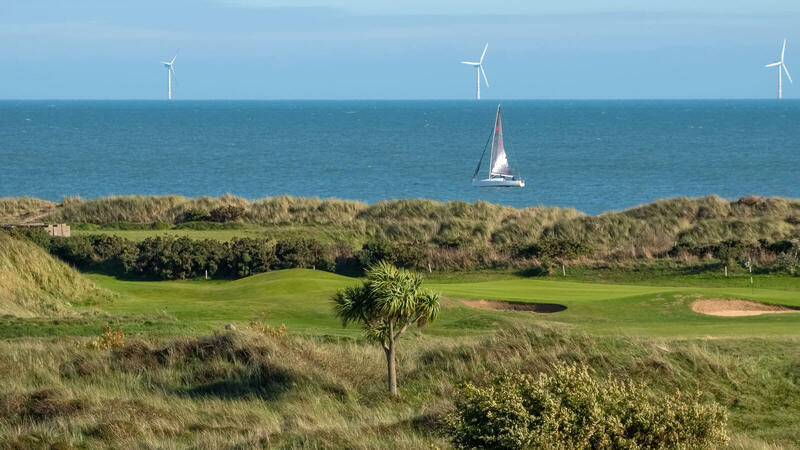 Incorporating Wicklow’s evergreen beauty and boasting stunning views of the Irish sea, Arklow Golf Links is where you can play some of the best golf Ireland has to offer. Offering spectacular views of the Irish Sea and situated against a mountainous backdrop, Blaniroe Golf Club boasts an 18-hole championship course. Surrounded with the majestic Wicklow Mountains, Blainroe enjoys its own micro-climate and is a unique spot for golf all year round. This Par 72 course carries the prestigious Hawtree & Son design signature and includes tricky fairway bunkers and sand-based greens. 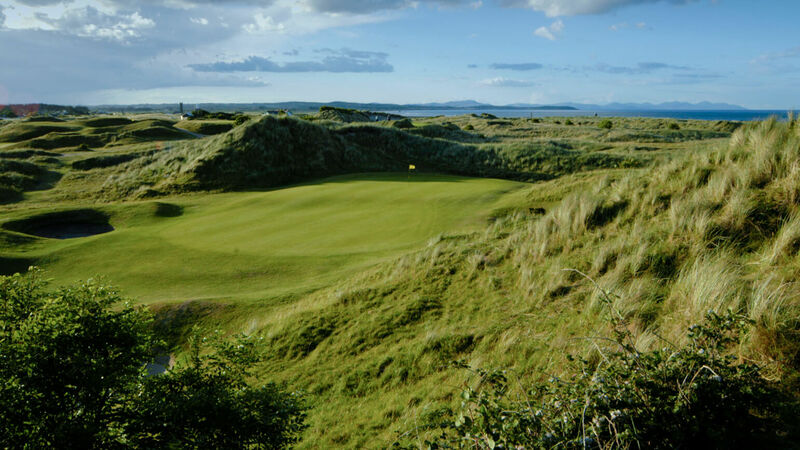 The course is known as one of the finest golf courses in Ireland’s East. 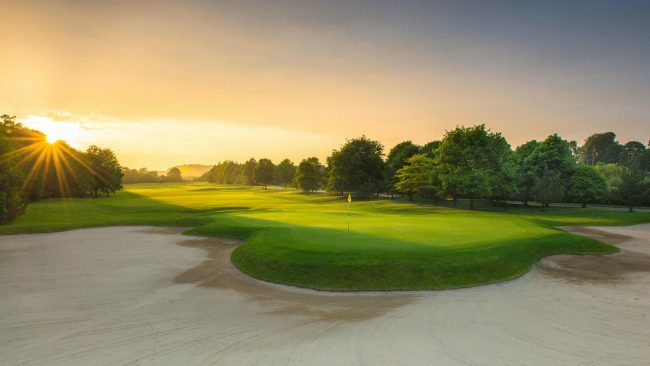 Mount Juliet Estate golf course, a masterpiece of Jack Nicklaus, opened in 1991 and has established itself as one of the best golf courses in Ireland. The layout is gloriously positioned amongst the woodland and rolling pastures in sunny East Ireland, and its beautiful accommodation incorporates the true meaning of Irish hospitality. The course has played host to legends like Ernie Els, Sergio Garcia, and Tiger Woods who declared the course at Mount Juliet Estate presented “perfect fairways” and the “best greens we’ve putted on all year”. Splendidly wrapped around the drumlins and lakes of the landscapes of County Cavan, Slieve Russell Hotel & Country Club boasts a magnificent 18-hole championship course. The luxury and comfort of the hotel’s rooms, and the dreamy views of the lakes, guarantee an unforgettable stay, whilst the tricky greens of the course promise a worthwhile round of golf. 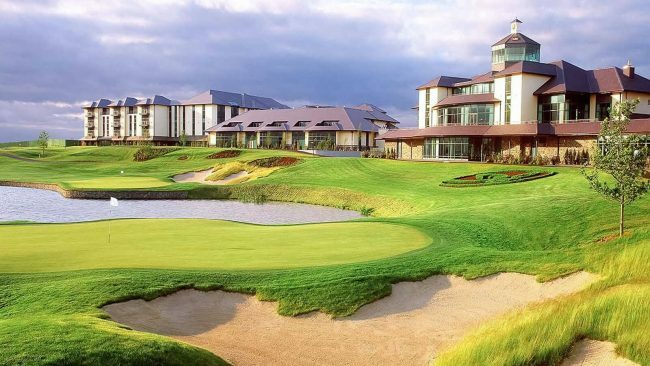 The course is known to have hosted major championships such as The Irish PGA Championship and a PGA Pro-Am tournament and is known as one of Ireland’s best golf resorts. Situated within the rustic landscapes of the Heritage Golf Resort lies a splendid course co-designed by the Ryder-cup legend Seve Ballesteros and renowned golf architect Jeff Howes. 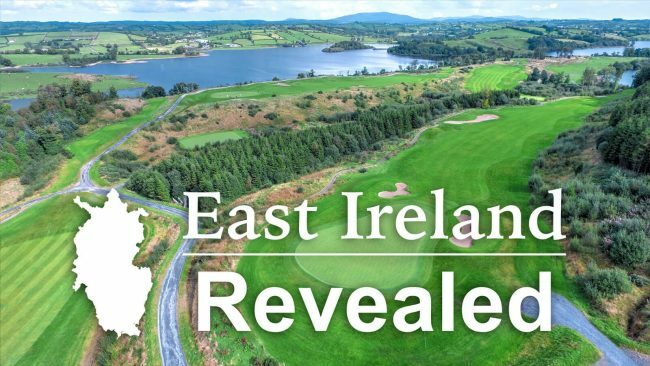 The two created a little piece of heaven for golfers that offer a challenging golf experience Ireland golf courses are well-known for. 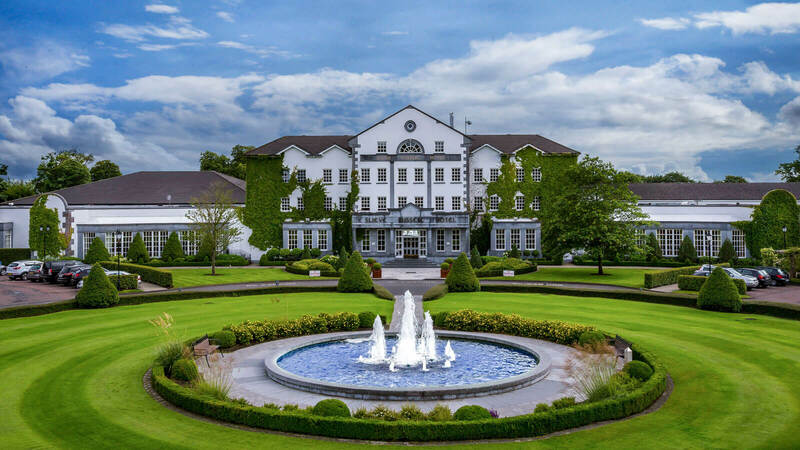 Situated in the midst of a private parkland in County Kildare, Carton House Hotel & Golf Resort is home to two stunning championship courses. The O’Meara course is a classic parkland and is swiftly positioned on the banks of the River Rye, meandering through lush woodlands. The majestic Montgomerie course will take you on a journey across the impeccable greens, against a stunning backdrop of the resort. 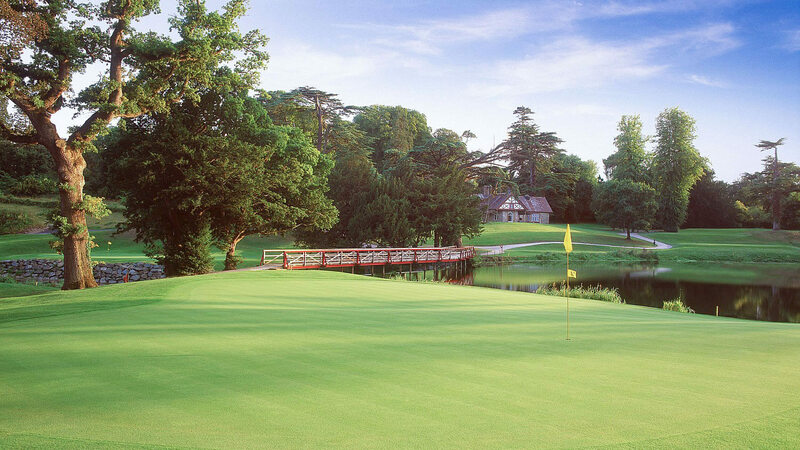 The 36-hole Carton House has been the proud host of three Irish Opens as well as the World Amateur Team championships.